excellent hotel , and staff was very friendly and co-operative. 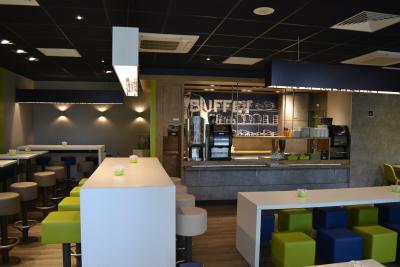 Staff was really friendly, the room was clean enough, the closeness to the metro was the best. Staff behavior, location, ambiance, nearby food joints. Excellent value. Clean room. Parking for an eight passenger van, although it was tight. Breakfast was excellent. Walking distance to metro station. Friendly staff and there was a McDonald's right next to the hotel. Making it easy to grab a quick snack to hold you over. Clean, decent wifi, very tolerant staffs, good price, relatively near metro station. Value for your money. Near the metro station, so simple access to the city. Simple room but very clean room. Nice staff! Everything. Receptionist (a lady) was so kind to allow me checked in earlier. the room is big, clean and tidy. Great option for short or one night stays. Good for sleeping and having a rest after a full Paris day and night. Also very close to train station. 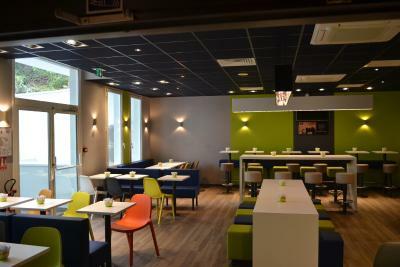 Located in Vanves, ibis budget Paris Porte de Vanves is only a 4-minute walk from Malakoff – Plateau de Vanves Metro Station, which offers direct access to the Champs Elysées. The property has a 24-hour reception and free WiFi access throughout. All rooms are decorated in a simple style and feature a flat-screen TV and desk. The private bathroom is fitted with a shower and free toiletries. A continental breakfast with french pastries, fresh bread and fruit salads is available daily. Other facilities offered at the property include a vending machine. Porte de Versailles Exhibition Center is only a 15-minute walk from the property. Private parking is possible on site at an extra charge and Charles de Gaulle Airport is 17 mi from the hotel. 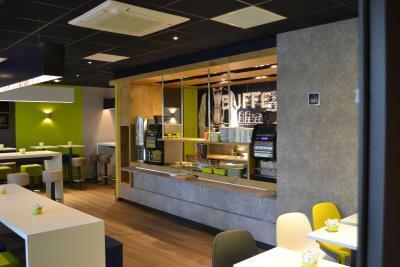 When would you like to stay at ibis budget Paris Porte de Vanves? This room includes free Wi-Fi access, a private bathroom and a TV. Private parking is available on site (reservation is not needed) and costs EUR 13.90 per day. 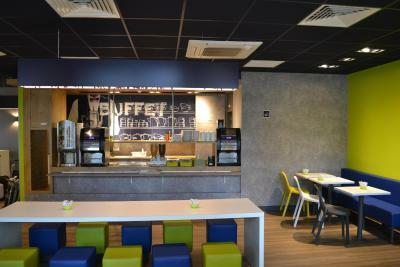 House Rules ibis budget Paris Porte de Vanves takes special requests – add in the next step! 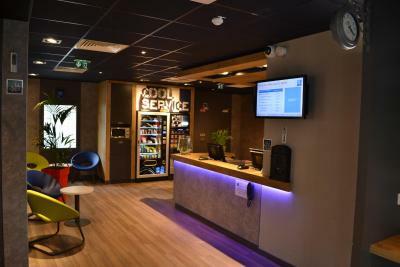 ibis budget Paris Porte de Vanves accepts these cards and reserves the right to temporarily hold an amount prior to arrival. Very noisy, windows did not shut tight enough to block out sound. When doors shut on other rooms the bed shook. I was disappointed with the breakfast selection. Wish for a good coffee in the morning, not the staff from a big machine. The second day I've missed the breakfast entirely, as staff didn't inform me that time changes from the weekend to the week. Bed very hard and uncomfortable. I like how clean the hotel was. poor welcome by receptionist and manger when she arrived. Difficulty with website when booking kept refusing my credit cards although there was more than sufficient funds in bank account. Had to phone and was helped by a very professional and helpful agent in order to confirm the booking. On arrival receptionist said we were in the wrong hotel without asking our names but said if we had any confirmation papers he would be happy to direct us to our hotel. When shown we had confirmation he showed annoyance. When making the booking on line we had option to indicate time of arrival. As we were travelling overnight from London arriving at Bercy at 5 I ticked the box for arrival 6-7. The receptionist said that we couldn’t have our room until after 12. I explained I had stayed there before and we were accommodated earlier. Not possible he said rudely. He said he was happy for us to sit in reception and wait. My son and young grand daughter were exhausted. We all needed a hot drink but had no euros on us for the machine. We asked if we could get some and have it put on the bill. No he said and something about our credit card not good because there was a note on the system. Comment overheard by other guests in reception. Manager arrived circa 7 and did not even say good morning. I said good morning and she barely responded. She went to the office behind reception and talked couldn’t hear what was being said but they were laughing. After further comments I made to the reception she came out and said she didn’t say good morning because she thought we were guests leaving. I explained to her what had transpired, concerned that the receptionist did not fill her in. She invited us to go through to the dining room and have a comp drink but “nothing else”. Next day Eric and Oceane were professional and helpful the floor supervisor and others good. There is a lot more but might be running out of space. Note My son and speak I very good French not so good at writing. There was a train station almost next to our window so it was sometimes noisy, but at night there was no noise. The heating didn't get to the bathroom so it was a bit cold there. I was looking for a relatively cheap place with good facilities and a good location and a parking garage, and this was a great choice as it had all this. It's less than 5 minutes walking to the metro station, and I felt safe walking there at night. The parking garage is under the hotel, which I liked as well. I didn't try the breakfast. I was very happy with the heating. Room not ready and third bed on top didn’t prepared, we have to prepare by ourself. Room small. Being woken up by staff talking at 4am! A little space crunch within the rooms. Toilets also a bit cramped. Everything else is just fine. Check in to check out 24 hrs. Absolutely value for money. Friendly staff. Next to McDonald makes it more attractive. 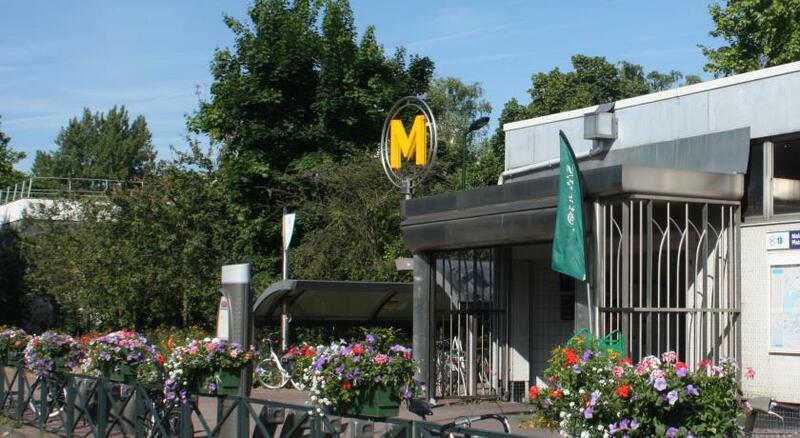 The hotel is about 800 mtrs from the nearest metro station Porte De Vanves. So if u are carrying heavy luggage avoid reaching by metro, take a taxi instead. The rooms are a bit cramped and washroom also is tiny. No lock in the washroom. The breakfast at a cost of 6,60 euros is not worth. The breakfast could have been more elaborate. Clean, friendly staff and value for money. And what is most favourable is check in at 12 noon and check out at 12 noon makes it full use of ur money. Good hotel within walking distance to the Paris Expo, The staff were very good, friendly and helpful. The bed was comfy, room was clean and a good breakfast every morning. Probably stay there again for next year. The toliet was not too parctical. The toliet's door is not enough to avoid the uncomfortable situations... No toiletbrush in the room. The breakfast was drag. The same thing from day to day without any vegetables and cold buffet, meat. Only sweet things. The receptionists did not speak englis very well so the communication was quite hard some of them. The room was clean and tidy. The location was fine, only 20 mins from the centrum by metro. Supermarket and bakery is in the near. worth for money. Dont expect too much in this hotel like creamer, coffee, owen..nothing is available.